Stella Modern Fireplace Facing Surround is carved from marble. 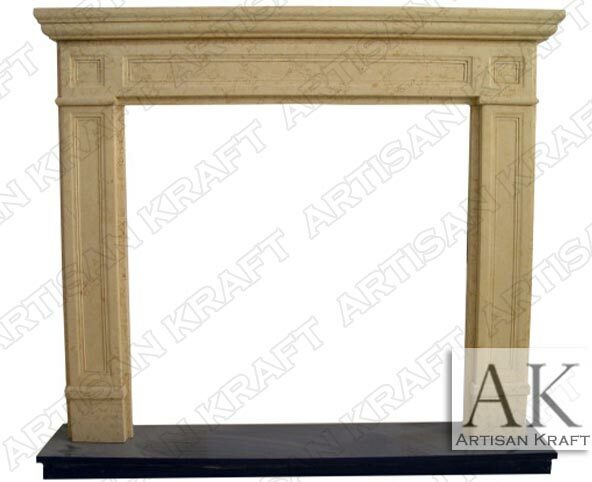 This beige marble surround is offered at a great price. The hearth is made from black marble giving it a great contrasting look. Follow this link to view many other great contemporary fireplace facings. Our fireplace showroom in Chicago is great place to visit to view many different mantel options. The showroom also features cast stone range hoods and stone bathtubs. Along with those Artisan Kraft also displays stone sinks and copper sinks.